Over the years, people have debated over using cast stone or natural stone for their outdoor decorations, specifically fountains. Although each has their advantages, we believe that the cons of using cast stone far outweigh the few advantages. In fact, many of the advantages of using cast stone can also be achieved using natural granite. First, what is cast stone? Cast stone is a man-made material from cement. Pigments and crushed stone are molded into a form to make it look like a natural stone fountain (or any other shape you desire). Natural stone is any stone that is found naturally in the earth; such as, granite. It is quarried and then processed and carved into the shape you choose. Below are the reasons you should choose to install a granite fountain instead of a cast stone fountain. 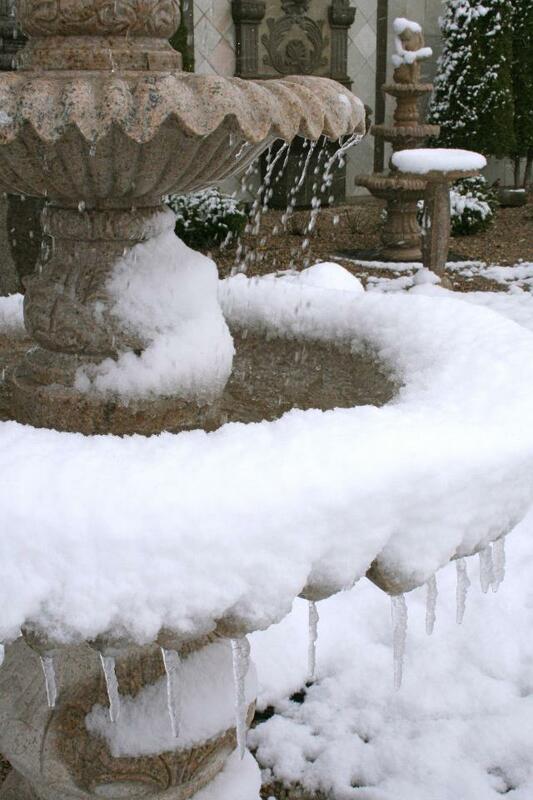 Hands down, granite is the most durable choice of material for your fountain. 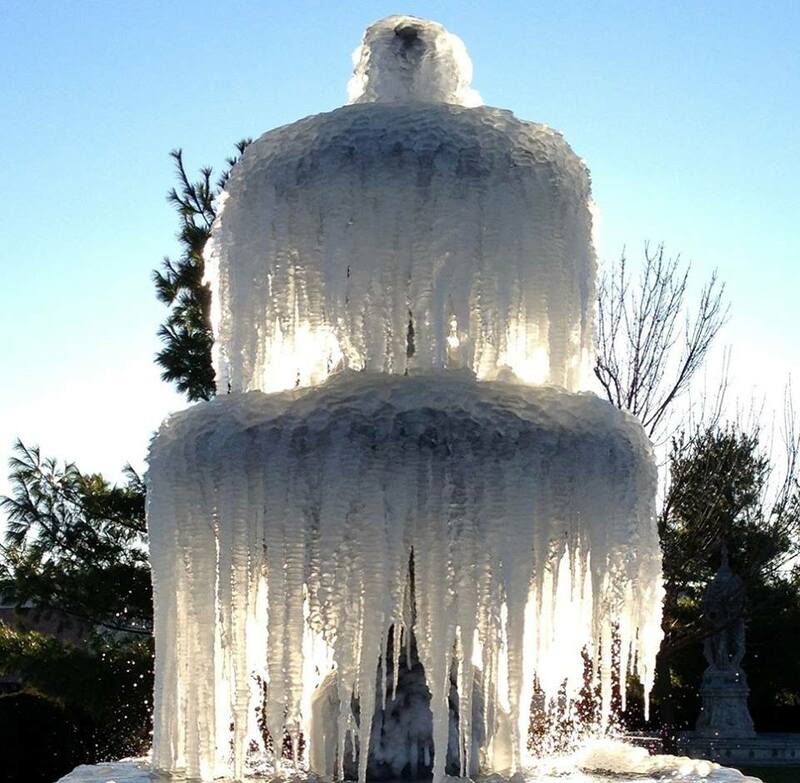 A granite fountain will last forever, regardless of the conditions it endures. Cast stone, however, will wear down over time. Cast stone is a more porous material and over time, through several freeze and thaw cycles, it will start to crumble. Many cast stone manufactures and sales reps will tell you their fountains are just as durable as granite, but that just isnt true. If you look at the facts you will know that granite is the most durable fountain option. Although a granite fountain may cost a bit more than a cast stone fountain, your investment will last decades longer. Although you can achieve different looks with cast stone and it can be customized because it is a man-made product, nothing can match the natural look granite gives. With granite, each piece has its own unique veining, pattern and texture which makes your fountain truly one-of-a-kind. As stated previously, cast stone can be made to suit the colors you want, but in the end it will still look like a man-made stone. Granite is a natural stone and you wont ever have to doubt if it looks natural. Since cast stone receives most of its coloring from faux finishing and staining, over time, through the elements, the colors will start to fade. In the end you will end up with a faded fountain that you will have to replace. Granite fountains keep their color and wont fade over time. Overall, if you are choosing to install a fountain choose a granite fountain that will stand the test of time. Invest in a granite fountain to enjoy with your family for years to come. Check out some of our unique fountains here. Interested in learning more about granite fountains? Contact us.